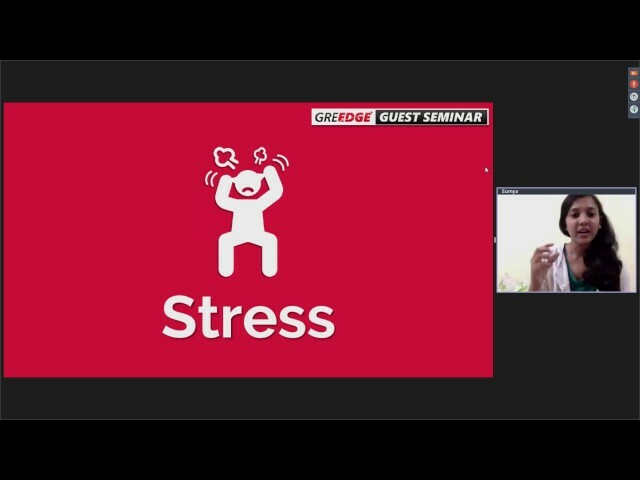 Missed out on a expert live online seminar? 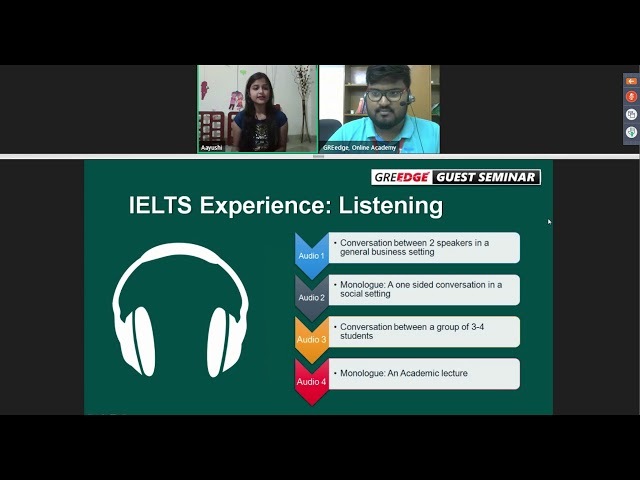 No worries, catch the gist of the discussion here in our library of recordings. 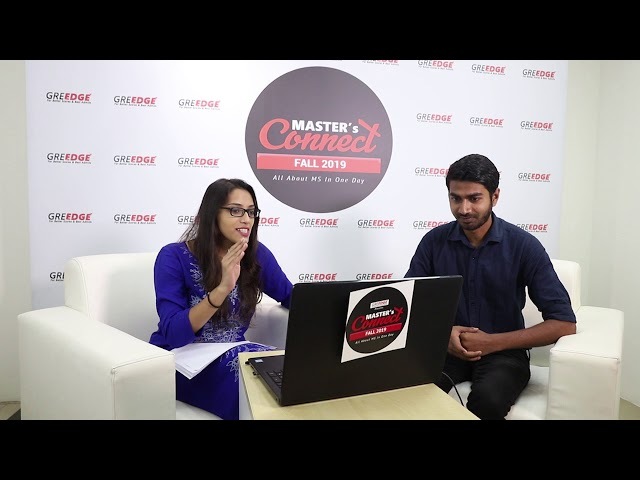 Just take your pick and press play to unravel a ton of expert tips, specifically designed to help you tackle all aspects of GRE & Admissions. 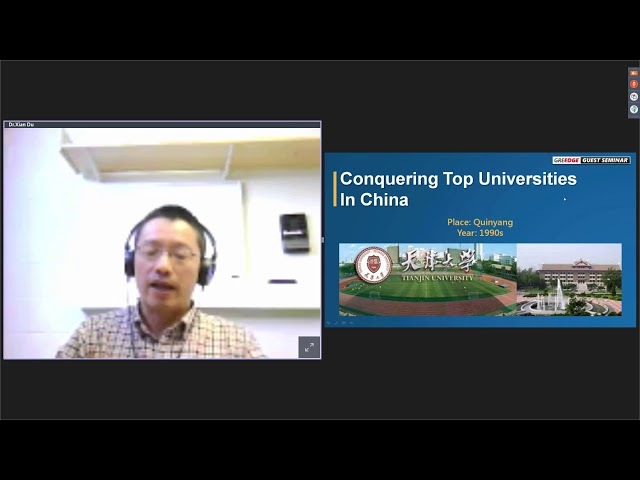 LIVE FROM MIT: How To Fully Fund Your MS & PhD Research! 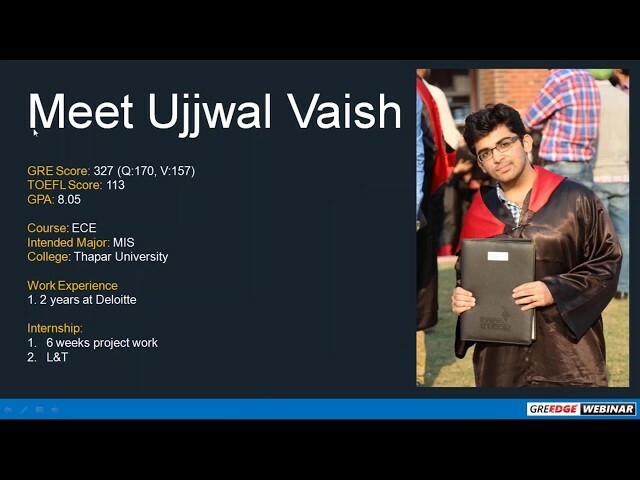 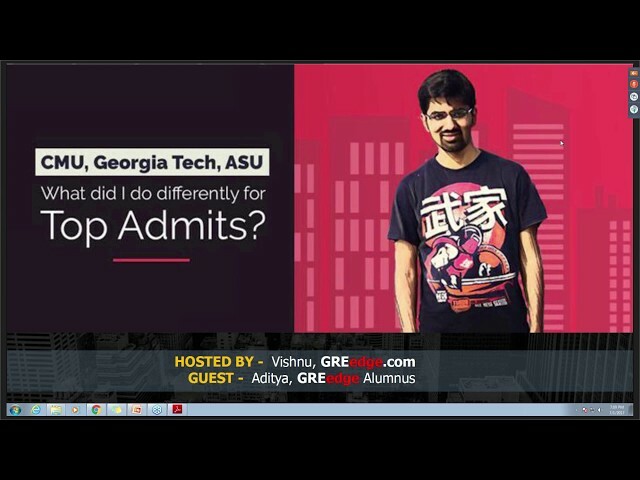 Guest Talk: Admits from CMU - How did Aditya achieve it? 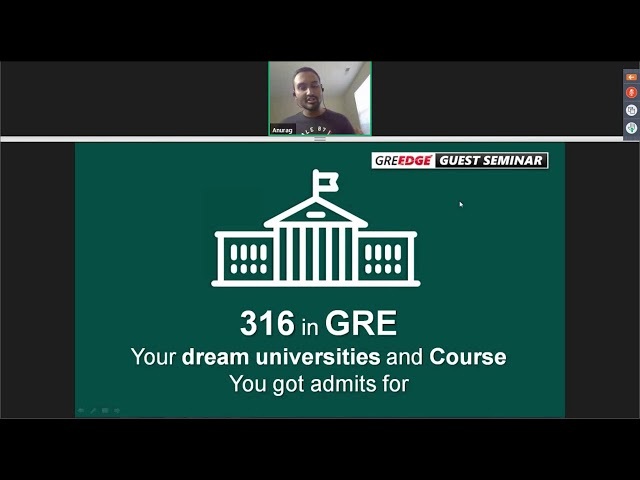 GRE Score 310-320: 10 Universities for you! 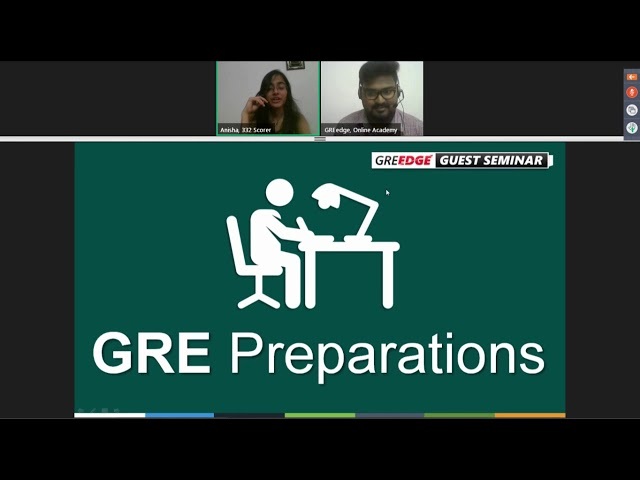 GREedge Seminar: Different Types of Scholarships & How to get them? 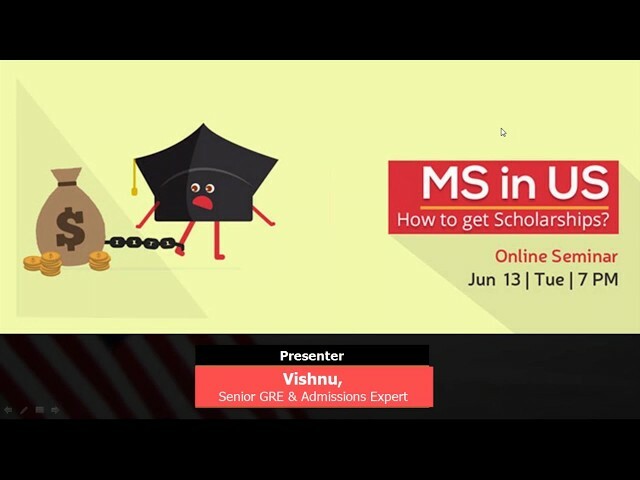 MS in US: How to publish Research paper of your Interest?